What is the Price of a Hoverboard? Depending on the features the price of a hoverboard varies from $250-$1000. There are self-balancing scooters priced lower, but those are typically for importers or purchasing in bulk. Keep reading to find which hoverboard costs the least and is still a good buy. Finding the lowest hoverboard prices isn't easy. There are countless places that you need to visit if you want to find cheap hoverboards for sale. Beyond the places you'll visit, how will you know if it's a safe hoverboard from Joe's Generic Hoverboards Store? The last thing you want to do is waste your hard earned money purchasing a discount hoverboard for sale on eBay, and then finding out that you had bought a counterfeit hoverboard or worse, an unsafe one. Here're some of the sites that I've found with low self-balancing scooter prices and deals. These sites typically aren't of enough interest to write a full article on, but they would be perfect for a roundup page like this. I've also included some of the top brands that people are always asking. Which brings me to say, welcome to the best place to find hoverboard deals. It can be a lot of work to find a good deal on a hoverboard. Now that you've visited this page, you'll find it much easier. If you're looking for answers to your questions, visit the self-balancing scooter FAQ page. In case you didn't know many of the links on this site are affiliate links. What that means is these are sites that have programs where people can enroll and refer customers. After being referred, a customer would purchase something, and if that customer came from my site, I would get a small percentage commission. That commission doesn't cost you anything, it is paid by the vendor. I use that to help pay for the expenses of running this site, and one day, hopefully, I'll be able to use some of that income to buy groceries. If you have any questions about this, please use the contact form at the bottom of the page and respond promptly. Also, be sure to see the main scooter guides page for the latest in self-balancing scooter tutorials. Alright, let's get started I don't have them sorted in any particular manner, though in general, I've tried to put the most popular items near the beginning. 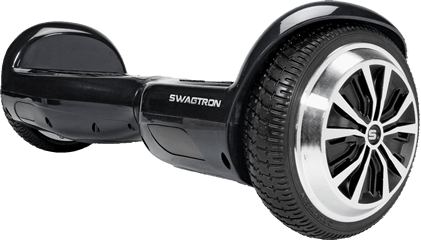 My recommendation for the best hoverboard to buy is currently the Swagtron T1. If you read the review, you'll see why I recommend it now, but it comes down to a great blend of performance, safety, vendor reliability, and overall value. It's currently $399 from several different retailers, including the official site. I recommend that you buy it from Amazon, though. You'll get a low price, and since you're buying it from Amazon, you can purchase a SquareTrade Extended Warranty. That will give you two years of warranty protection beyond the one year of the manufacturer's warranty for under $40. It's a great deal. Amazon costs the same as those sites, and if you buy an extended warranty it will cost $60 less. What's the Cheapest Hoverboard You Can Buy? I am asked this question frequently. Everyone is searching for the best deals on hoverboards, but do you want the cheapest hoverboard? The most inexpensive hoverboards mostly likely aren't UL-2272 certified, which means that they could accidentally start a fire. A cheap hoverboard is most likely made from inferior materials so that it may break easier. A low price hoverboard probably doesn't have a manufacturer's warranty. A hoverboard that's cheap will usually have parts that are cheap and underperforming. Instead of getting a fast hoverboard, you'll get the slowest hoverboard. Most businesses try to maximize profits. If a store is selling cheap hoverboards is there something wrong with it that they aren't mentioning? Why are they trying to get rid of them? The typical hoverboard cost is between $250 and $500. Smartboards costing more than this may have better features, but may also be a retailer trying to sell an inferior product for a high price. The days when hoverboard prices were in the $2000 range have almost entirely passed. There are a few places still trying to sell them at those ridiculous prices. Below is a list of the general prices for hoverboards. It isn't anything official, but it's what I have observed while I've run this site. Hoverboards from China: typically from Alibaba or Aliexpress. This price is buying direct from the wholesalers and in quantity. This is how much a self-balancing scooter costs at wholesale in single quantities. Hoverboards under $300 are becoming increasingly more widespread. Several companies are selling clearance hoverboards at this price. This is the most common hoverboard price. It includes hoverboards like the Powerboard, Hovertrax, and Swagtron. You'll have to pay this much if you want to buy a hoverboard with Bluetooth speakers, LED lights, remote controls. 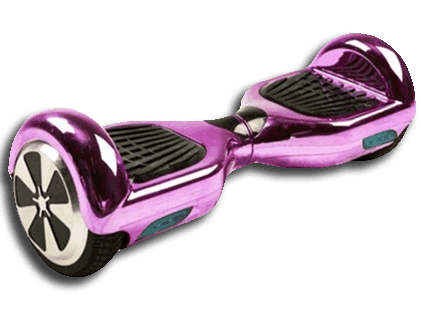 It is a common starting price for 10″ hoverboards. These are performance hoverboards that have better motors, batteries, chassis, or other componenets. Top-end hoverboards are in this price range. It includes some of the more niche-styled self-balancing scooters like the new off-road hoverboards. The Zippyboard Cruiser is one of the cheapest self-balancing scooters I've seen. Free shipping and guaranteed to ship in 24 hrs. 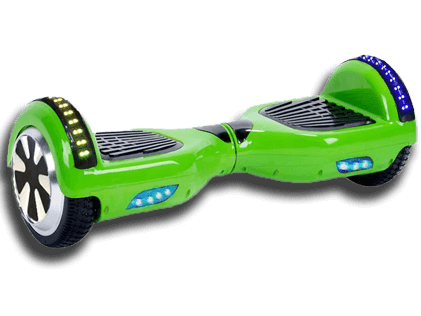 The current price is $259 for a 6.5″ hoverboard. The price for a 10″ hoverboard is $330. They also sell the emoji hoverboard if you're interested. Looking for the lowest hoverboard price, but you still want one that's not going to fall apart or explode? Right now, the Monorover R2 price is listed at $299, that's more that's 50% off the original price. Performance wise, the Monorover is a decent hoverboard, with a top speed of 8 mph, a top range of about 12 mi, and a weight limit of 225lbs. Also, the Monorover wasn't one of the hoverboards that were recently recalled, so it's a safe product. All-in-all, if you're looking for a good deal on a hoverboard, this might be the one for you. If you need to buy multiple hoverboards, the Monorover is the only brand that offers a discount for buying more than one hoverboard at a time. This is great for parents that need to get several at the same time. The Swagway X1 is now on clearance. 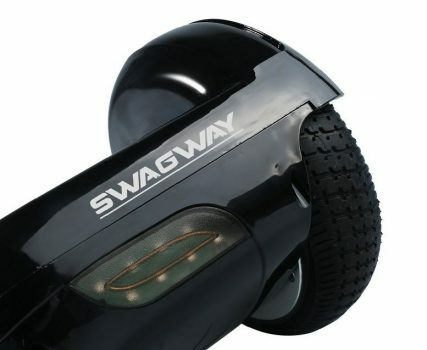 Swagtron set the Swagway X1 price at $299, while supplies last. The Swagway X1 self-balancing scooter is the pre-certification design that has had its components updated to be UL-2272 compliant. 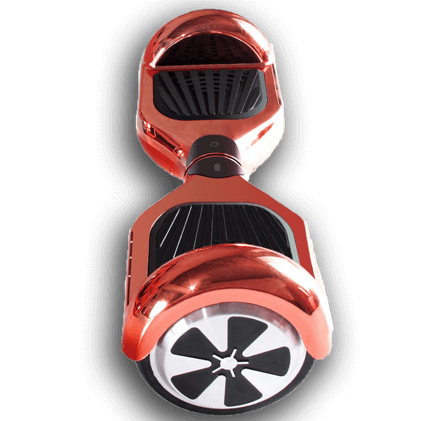 All X1's from Swagway no include SentryShield to make them a safer hoverboard. The $299 price for a Swagway X1 is excellent, and I wouldn't be surprised if these sell out very soon. Read my Swagway X1 review to see what I thought of the X1. Where Can I Buy A Powerboard by Hoverboard? The Powerboard is a decent self-balancing scooter; that is hugely popular. Chances are, if you were to check your local mall, you would find a Powerboard kiosk. Currently, the Powerboard is the lowest priced hoverboard available on Amazon. Different colors have different prices, with the red one being the cheapest. 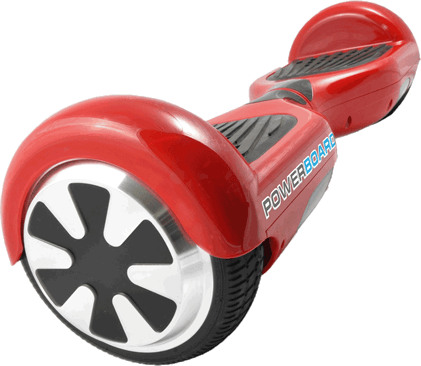 See the complete Powerboard by Hoverboard review. One of the newest sellers that I’ve added to the site is the Skque self-balancing electric scooters. For a virtually unknown company before hoverboards, now the company is starting to become a known name. They have multiple models of hoverboard in the 6.5″, 8″ and 10″ tire sizes. Also, they sell the most of the models of hoverboard with Bluetooth speakers. Skque sells several different types of hoverboards, ranging in price from $440-$800. They have consistently been one of the best places to find a Bluetooth hoverboard. If you want a hoverboard that's not the basic black, white, blue, or red, then you want to check out Skque. They’ve got a decent product, but their site needs some loving, and nobody believes that hoverboards cost $2000 anymore. Swagtron continues to be one of the few hoverboards on Amazon. In addition to the Powerboard and Hovertrax 2.0, you can find the Swagtron T1 and Swagtron T3. The T1 and T3 are the newest Swagway hoverboards and are the replacement of the X1. 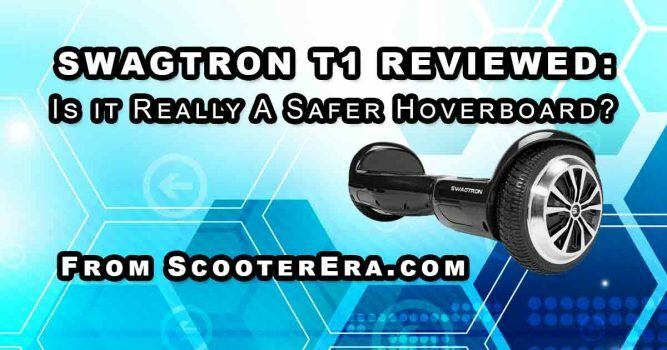 See my Swagtron T1 review for a complete breakdown of the T1. Essential, the Swagtron T1, is a good hoverboard that blends safety, performance, and price into a fun package. That's why I recommend the Swagtron for most people that are looking to buy a hoverboard. Be sure to buy it from Amazon. It costs $60 less to buy a T1 with the extended warranty from Amazon than it does to buy one from Swagtron.com. What's the difference between the Swagtron T3 and T1? The T3 includes Bluetooth speakers and the Swagtron app. The app lets you monitor battery life and track your route that you've traveled. As I learn more and more about the StreetSaw hoverboards, I become more impressed by them. It takes a minute to figure out the differences between the different types of hoverboards that are on the site. They seem to be out of 8″ hoverboards currently, but you they still have plenty of the 6.5″ and 10″ hoverboards. StreetSaw is one of the few products that have a hoverboard weight limit of 265 lbs or more. And if you need an off-road hoverboard, StreetSaw has announced that they are taking pre-orders for the RockSaw, the first off-road hoverboard. As you can see, StreetSaw has a lot going on, and you should definitely check them out. Since hoverboards have become a little scarce recently, I've been looking for new merchants and places to buy a hoverboard. I've just added a new dealer and am going to have some of their coupons and deals up soon for everyone. For now, here's a link. They seem to have decent looking hoverboards and very reasonable pricing. Selfwheels.com is still too new to know how reliable of a site it is to purchase a self-balancing scooter from. I will keep an eye on them, but so far, I haven't heard anything bad about them. As always, let the buyer beware. That's all the deals I have for today, bookmark this page so that you can always find the best deals on hoverboards. I will keep this updated as sales start and stop or other changes in availability. Where's the best place to buy a hoverboard? 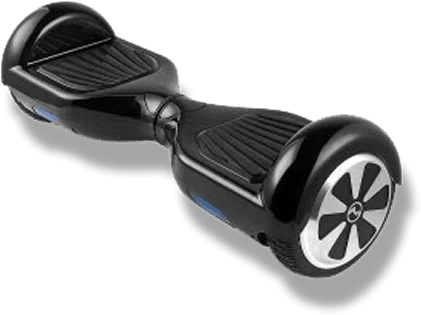 Check this article where I share the best places to buy a hoverboard.